As far as I know now, there isn't much happening this weekend. All too briefly, it seems, Liz's twenty one year old son moved out for exactly one week and now is moving back in with Mommy. She (Liz) swears things will be different with the addicted "gamer" but we will see. At any rate, I will be getting over it. Perhaps Friday or Saturday we will be going out to a "consolation" dinner. The problem is, I don't get my Social Security check until next Wednesday, so funds will be hard to come by for a couple days. Again, one way or another, I will be getting over it. Then again too, I will have things to go to next Monday and Tuesday. 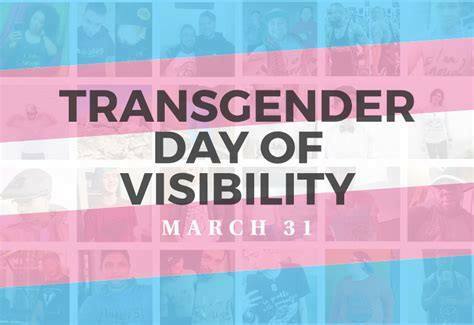 Looking ahead towards the end of the month, plans are coming together to hold Cincinnati's "Transgender Day of Visibility". It is going to be held downtown on Fountain Square and should be well attended. 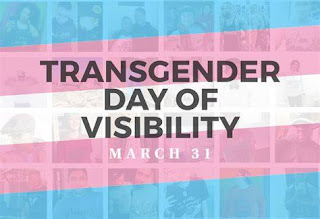 The cross dresser - transgender group I am part of is helping to put it on. Looking farther ahead, I haven't heard anything back of my workshop proposal for the "Trans Ohio Symposium" in April. It's probably not that surprising since the Trans Ohio lost it's former chair person when she recently moved to New Mexico. She almost single handily put the event together for years. Again, one way or another I will be getting over it. The 31st of March is a Sunday this year (and Mothering Sunday here in the UK) which makes I a little harder to organise anything for TDOV, we will be having a Cabaret night on the 30th though, and I will be making my stand up debut!